We are honoured to have the presence and expertise of two luminaries of modern day Ayurveda, Vaidya Vasant D. Lad & Dr. Ramkumar Kutty along with distinguished Ayurveda professionals from around North America. Vasant Lad brings a wealth of classroom and practical experience to the West. A native of India, he served for three years as Medical Director of the Ayurveda Hospital in Pune, India and was Professor of Clinical Medicine at the Pune University College of Ayurvedic Medicine for 15 years. He holds a Bachelor of Ayurvedic Medicine and Surgery (BAM&S) degree from the University of Pune and a Master of Ayurvedic Science (MASc) degree from Tilak Ayurved Mahavidyalaya. Vasant Lad’s academic and practical training include the study of Allopathy (western medicine) and surgery as well as traditional Ayurveda. Beginning in 1979, he has traveled throughout North America and Europe sharing his knowledge of Ayurveda. In 1984 he became the founder, director and principal instructor of The Ayurvedic Institute. The author of numerous books, Vasant Lad is respected throughout the world for his knowledge of Ayurveda.He has authored 11 books on Ayurveda as well as hundreds of articles and other writings. With over 500,000 copies of his books in print in the US, his work has been translated into more than 20 languages. Dr. Ramkumar is a Founder-Director of Punarnava Ayurveda, an institution committed to Authentic Ayurveda for Universal Well-Being. He is a lifelong student of Ayurveda and other traditional Indian knowledge systems. Over the last 15 years, he has given talks and conducted workshops in the Americas, Africa, Europe, Australia and South-East Asia propagating health and happiness through Ayurveda. Punarnava Ayurveda is currently engaged in the creation of an experimental, green, self-sustaining, authentic Ayurveda healing community on the outskirts of Coimbatore in South India. This village is working towards adhering to the principles of authentic Ayurveda and Vaastu; and will also engage in natural farming, use of alternate energy sources, waste recycling, environment friendly construction, water management and so on – the idea is to create an “optimum healing environment”. The village has commenced functioning in a small way with 36 patient units – it is called “Vaidyagrāma"
Jaisri Lambert has been practicing and teaching natural therapies since l983 after her own debilitating migraine headaches kindled her interest in alternative therapies. Her exploration led her first to Polarity Therapy, in which she became certified in 1985. As interest and demand for natural healing classes increased, Jaisri founded the Westcoast Polarity School and later the East-West Polarity School, teaching innovations in Polarity Therapy internationally. IN 1989 SHE MET RENOWNED AYURVEDIC PHYSICIAN AND AUTHOR VAIDYA VASANT D. LAD, B.A.M.S., MA.SC. IN VICTORIA, B.C., AN EVENT THAT DEEPLY INFLUENCED HER LIFE. “HEALING IS LOVE PLUS INTELLIGENCE”, DR. LAD TAUGHT, VALIDATING JAISRI’S EXPERIENCE THAT SPIRITUALITY AND PHYSICAL LIFE ARE NOT SEPARATE. Once her migraine syndrome was understood and managed, Jaisri’s study of the broader, underlying philosophies of Ayurveda began. She also began to observe that as we achieve individual balance, we also realize more increased spiritual harmony and a feeling of the natural, innate unity of life. During her twelve-year apprenticeship in classical Ayurveda with Vaidya Vasant Lad she learned many hidden secrets of ‘Marma” (trigger point) science. Through studying the ancient roots of anatomy and physiology according to Ayurveda, she has developed a body-based counseling science rooted in the ancient Marma therapies of Ayurveda. This science, Vaidya Lad called ‘Turiya Therapy’, which denotes the transformation of our psycho-emotional causes of disease into spiritual wisdom. Turiya Therapy is based on the innovative work of Jaisri M. Lambert R.P.P., and influenced by Polarity Therapy of Dr. Randolph Stone, D.O., D.C., N.D., whose contribution to the study of energy therapy on whole health cannot be underestimated, and Polarity Therapy’s parent science of Ayurvedic medicine. During her more than twenty-five years of study and practice of Ayurveda, Jaisri has developed a deep knowledge of herbal formulations, individualized wellness programs, bodywork techniques, pulse assessment, Ayurvedic herbology and Panchakarma, which consists of classical Ayurvedic cleansing and rejuvenation therapies. Jaisri’s other important teachers include Dr. T. Sukumaran of Kerala and Dr. Robert E. Svoboda of Texas, both respected and beloved Ayurvedic physicians. Jaisri has authored numerous articles and training manuals in Ayurveda and Turiya Therapy, and travels internationally to introduce the theory and practice of this ancient wisdom to delighted students of all levels. Now in her late 60s, Jaisri is an innovative healer who has developed new techniques in Energetic Healing and Invisible Anatomy. Her success she feels is due to the comprehensiveness and effectiveness of Ayurvedic medicine throughout history, and to the public’s sincere search, like her own, for holistic health through natural methods. Her gift of teaching Ayurveda at all levels is unique, bringing this knowledge to students internationally. Jaisri is fluently bilingual in French and English. Madhavi is one of the first Ayurvedists to be awarded the Swiss ‘Diplôme Fédéral Suisse en Médecine Ayurvédique’, designation (pending). She’s a dual citizen of France and Switzerland, born in Paris in 1960, married with four grown children. Trained as a Psychologist and Hypnotherapist, she studied Ayurveda for 10 years, and also graduated as a yoga teacher. With her husband, she has a private practice in Geneva, offering combined therapies in Psychology and Ayurveda. Madhavi divides her time between Switzerland and India, where she created and recently opened a small Ayurveda hospital and yoga center in Kerala, offering deeper detoxification of mind and body, both for foreigners and locals. Vd. Manjiri Nadkarni, MD (Ayu), RHN is a Founding member and President of the Ayurveda Association of Canada. She has undergone intensive training in Ayurveda as a Doctor of Medicine, Ayurveda from India (3-year MD program), after completion of her Bachelor of Ayurvedic Medicine and Surgery (5 1/2 years Ayurveda program). Manjiri helps educate people to embrace Ayurveda. Her efforts were recognized by the Ayurvedic Professionals of North America (AAPNA) who awarded her the Charaka Award 2016 for Excellence in Ayurvedic Teaching, May 2016. Vd. Manjiri also is a health expert on the local bi-weekly radio program “Ask the Expert” on CHOK 103.9 FM. 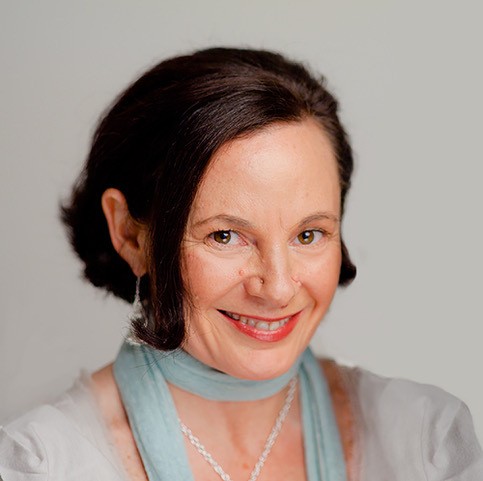 Glynnis is a passionate teacher, Ayurvedic practitioner, and author specializing in the healing arts of Ayurveda, aromatherapy and aromanutrition. Glynnis partners with a women’s herbal collective in Nepal, co-creating authentic Ayurvedic self-care products. Glynnis is on faculty at VSOHA teaching aromatherapy, Indian head massage and Ayurvedic self-care, as well as Langara College teaching Ayurvedic self-care in the YTT Program. Glynnis is co-author of the book Your Irresistible Life: 4 Seasons of Self-Care through Ayurveda and Yoga Practices that Work and has authored The AromaDosha Blueprint online learning experience. She is founder of The Spice Life, an online portal for aromatic Ayurveda. 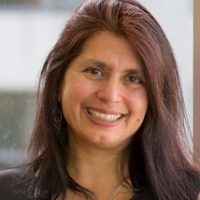 Dr Farah M Shroff is a public health researcher and educator with a passion for integrative health practices who teaches at the University of British Columbia. She has a longstanding interest in Ayurveda, starting with her PhD thesis (New Directions in Canadian Health Policy: Lessons from Holistic Medicine, 1996, University of Toronto) which examined ayurvedic philosophical foundations and how they could improve Canadian health policies. She is currently working with partners in India on a proposal to study an ayurvedic remedy for childhood diarrhea. Dr Shroff is also a yoga teacher and researcher who has taught yoga in over 40 countries. She loves being in nature, Persian poetry, dancing, and celebrating the beauty of the global human family. Dr. Ami Batavia holds a “Bachelor of Ayurvedic Medicine and Surgery” from Bharti Vidyapeeth University, India. She is also a Clinical Research Professional and a Certified Yoga Teacher. To expand her horizon currently she is pursuing her “Diploma in Nutrition” from the Canadian School of Natural Nutrition. During her seven years of practice in Ayurveda and Panchakarma she has developed a keen interest in “Research-Based Preventative Cardiology”. One of her objective is to reduce mortality and morbidity due to cardiac illness with the help of Ayurveda and Panchakarma.